“Rocket Boys,” a new musical based on the 1998 New York Times No.1 bestseller by NASA engineer Homer Hickam (also immortalized in the hit film, “October Sky,” has received a huge and overwhelmingly positive reaction from the musical theatre community and is now opening at The Legacy Theatre in Tyrone this weekend. In addition to being an Atlanta premiere and the official developmental production, it also features a sensational cast hailing from New York City as well as hometown talent. “Rocket Boys” follows the memoir of a misfit coal-miner’s son who engages some skeptical friends to join his dream of rockets and space. The best-selling book is one of the leading community/library reads across the country, a staple on school lists, and is published now in nearly every language across the globe. The musical is written by Homer Hickam, Jr., along with Carl Anthony Tramon with music and lyrics by Dan Tramon and Diana Belkowski. 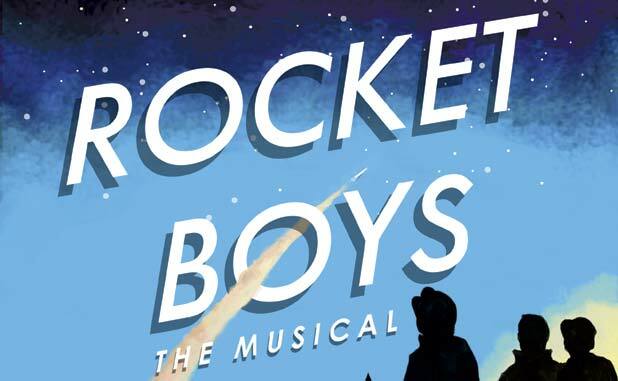 “Rocket Boys” is directed by Legacy’s artistic director, Mark Smith with choreography by Bethany Hayes Smith and includes musical direction by Jodi Cotton, John Michael d’Haviland and Joseph Baker. The entire creative team has been present and involved in shaping the brand-new version of this musical and Atlanta will get to see it before a hopeful New York run. In addition to the shows creators, including Hickam, being present for rehearsals and performances, the show also stars an award-winning cast. Atlanta’s own, Jeremy Varner, seen in Legacy’s “Ring of Fire” and “Tarzan,” leads the cast as Sonny the younger version of Homer Hickam. This inspiring new musical opens April 17 and runs until May 10. Performances are Fridays and Saturdays at 8 p.m. as well as Saturdays and Sundays at 3 p.m.
Hickam will be in attendance for talkbacks and autographs at selected performances. Tickets are on sale now through the box office at 404-895-1473 and online at www.thelegacytheatre.org. Single tickets are priced at $25 with discounts for seniors and students. Group rates are available.